The recent Open Day at the brand new Jigani factory in India heralded the commencement of operations at Rotork’s eighteenth worldwide manufacturing facility. The extensive, state-of-the-art Jigani plant, situated in Bangalore, is in a new factory development area that is attracting an increasing number of leading multinational companies. The Rotork plant is providing additional manufacturing capacity for the burgeoning Indian valve actuation markets, complementing the existing Rotork factory at Chennai, which is also receiving substantial investment for expansion. The Jigani plant is designed to manufacture product ranges from Rotork Controls, Rotork Fluid Systems and Rotork Gears, including two assembly lines for the local manufacture of the world-beating IQPro intelligent electric actuator range. In addition to the manufacturing plant, new sales and service facilities at Jigani will provide increased support for Rotork’s customers in India. 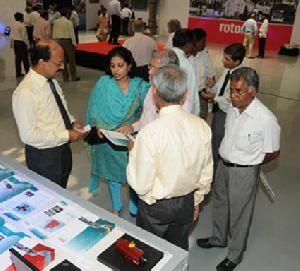 Many of these customers from the oil, gas, power generation and water industries were able to attend the Open Day and view first-hand the latest evidence of the comprehensive and extensive investment in the future of the Indian economy that Rotork is making.